On a beautiful sunny Saturday afternoon, we had the pleasure of meeting up once more with Katy and Ryan, to photograph their gorgeous farm wedding at East Aurora's Hayloft in the Grove. It was not too long ago that these two were in front of our cameras for their engagement session, dong their best to brave the unusually cool weather. But now, we found ourselves relishing the warm summer sunshine as we photographed every perfect detail of their wedding day. We met Katy at her aunt's home, surrounded by her bridesmaids and her family, smiling from ear to ear, and totally relaxed. 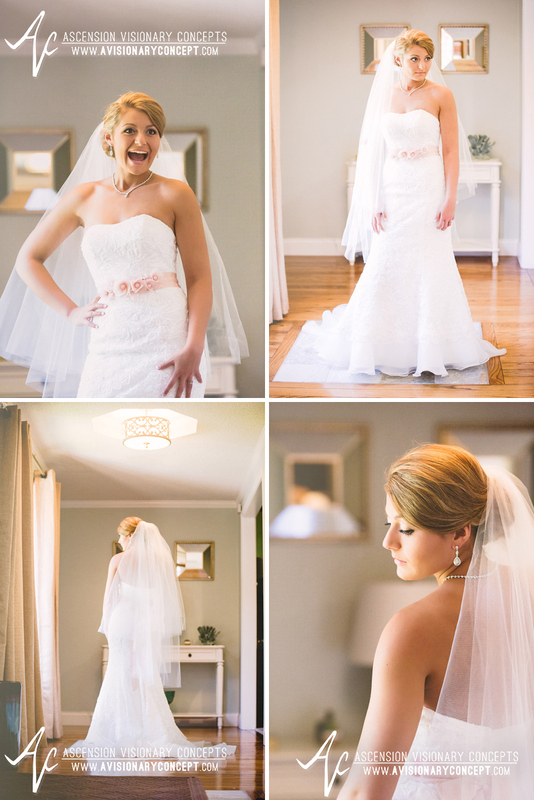 Even though this day is typically all about the bride, Katy was busy helping everyone else get ready! After Katy's mom completed the finishing touches on Katy's bow and veil, Katy's dad came in to see his baby girl...the pride and joy certainly showed on both parents' faces! We next headed to the Hayloft to meet Ryan and his groomsmen. He was definitely a handsome compliment to his lovely bride-to-be. Without further adieu, we headed over to the Kingdom Hall for the ceremony. 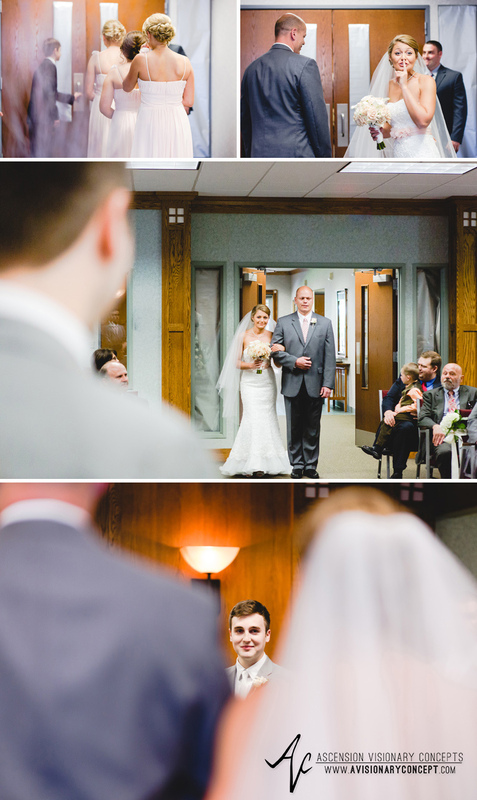 Just before entering, Katy took a pause to shush her straggling guests - no one was going to interrupt this moment! Although we were fully aware the Hayloft would present endless photo ops, we couldn't resist taking a few portraits on the grounds of the Hall. Beautiful! 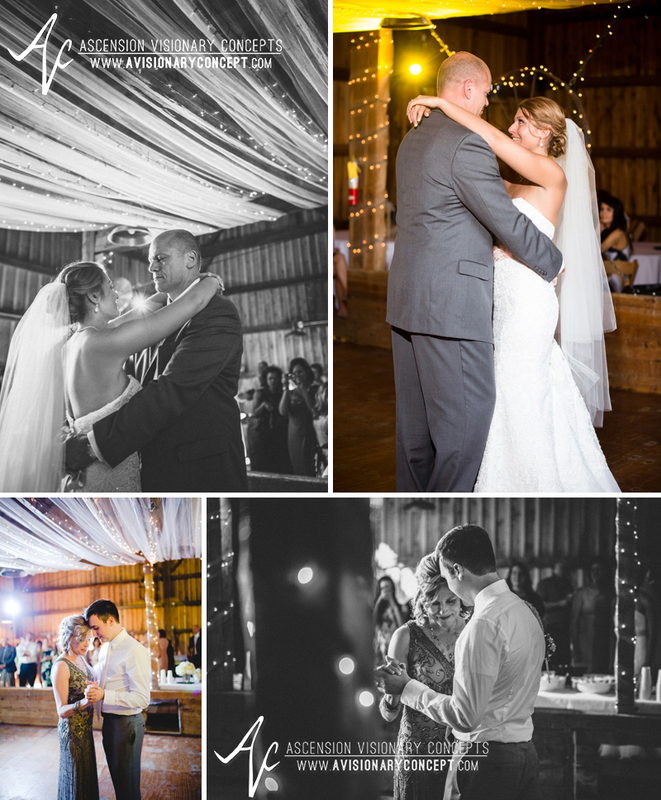 The time had come to start celebrating over at the Hayloft! 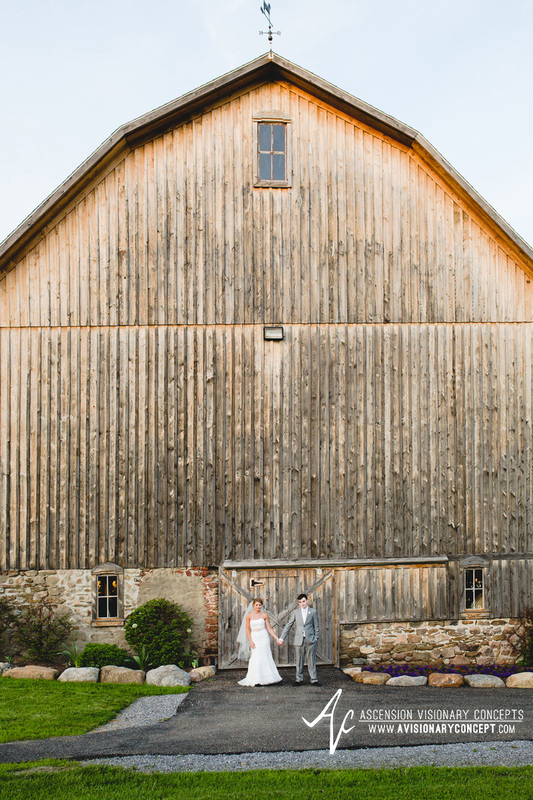 We absolutely loved all the rustic details of this barn venue. 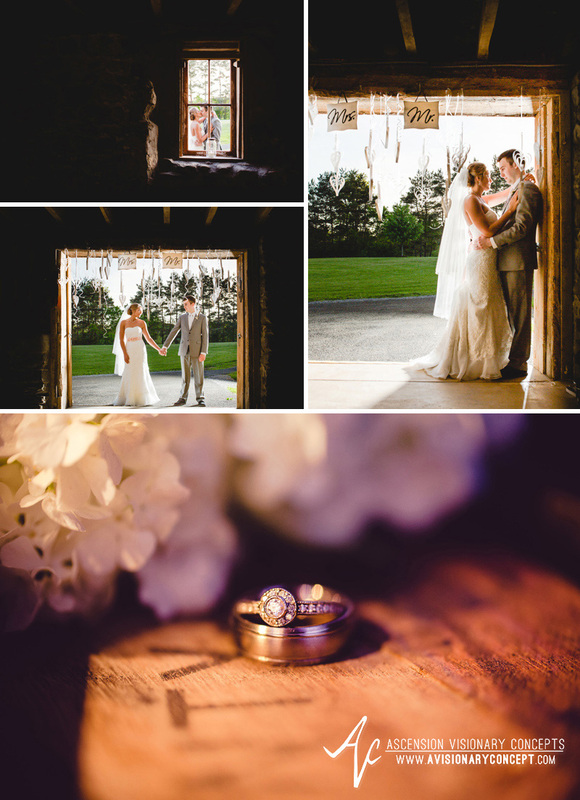 Just before sunset, Ryan and Katy took a short break from the party so we could capture a few more images of them along the grounds of the Hayloft. 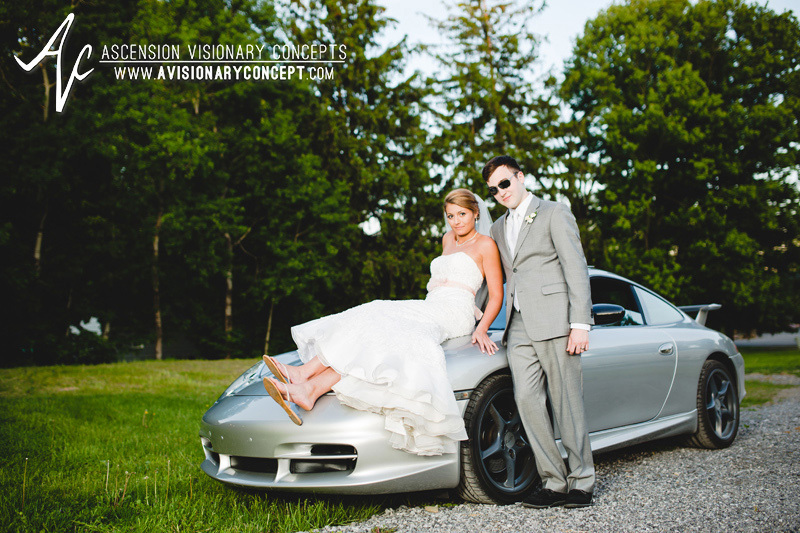 Once again...hard to pick favorites...You two look simply amazing! Ryan and Katy, we could go on and on about how beautiful your day was, but our wish is that it is just an indicator of the beautiful life you two have ahead together. Cherish each other always! Thanks for letting us be a part of the celebration!